The following companies and seed enterprises have requested field inspection of their proprietary branded products under the VCIA Quality Assurance Program. Participation in this program demonstrates these companies efforts to use effective quality management in seed production and conditioning. This program provides an unbiased assessment and verification of key seed quality factors affecting seed performance. 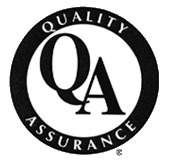 For more information about the Quality Assurance Program contact the VCIA. For further details about the products offered by these companies, contact them directly.